When you own a business that includes website marketing or an online store as part of your overall plan, it is important to work with a web hosting company that you can trust. There are many services out there that promise to have the best business web hosting available, but there are few that can live up to the hype. If you own a small or mid-sized business in Southeastern Massachusetts, it can be to your benefit to work with a local company that has served the business community for many years. Do your research, speak with other business owners who have used the service and do diligence until you find the best hosting service in Wareham. However, if you make a rash decision and just jump into something before researching it first, you just might make the wrong choice. In order to learn how to make good web hosting decisions, this article will focus on what could happen if you instead choose the worst company for business web hosting in the area. Not taking the time to research a web hosting company or at least to ask questions about the type of services they provide, could end up costing you more than money. Here is a short list of some of the things that could go wrong if you get a poor quality business web hosting for your new website. Loss of Ranking – If your website is down repeatedly due to bad hosting services, the search engines will not rank you as well as they might if your business website was more consistent. Your SEO ranking can be negatively impacted by problems with the function of your website. So even if you have a professionally-designed website, the engines could ignore your positive efforts completely. Loss of Revenue – When a website is down more often than it’s up, chances are your customers won’t be able to visit your site, view your content, browse your products and make a sale. What’s more, a site that is down frequently can appear to consumers as being “shady” or untrustworthy. Nobody wants to risk the security of their credit card by making a purchase from a site that is suspect. Loss of Security – Poor quality business web hosting can make it easy for hackers and malware attacks to wreck havoc on your website. While there is no perfect security method available to prevent 100 percent of all attacks, using a quality company to host websites in Wareham will prevent most attacks and get your site back up and operational in no time. When it comes time to find the best hosting service in Wareham that your budget will allow, it is important to pay attention to a few crucial areas. These tips will help you to find a quality service that will host websites in Wareham according to your specific needs and desires. Check Options – Find out all you can about the different hosting packages available through the prospective web hosting company, as well as all of the bells and whistles that are provided free of charge. Explore add-ons, check prices and make sure it is something that will benefit your business. Check Support – So the company says they are available for support 24 hours a day, 7 days a week, but when you get in a pickle, nobody answers the phone or replies to frenzied messaging. Ask for references to other customers of view an online portfolio list of “satisfied customers” and actually give them a call. Check Cost – While cost should never be the only thing that you consider, it is important to remember that you get what you pay for. Paying a little bit more than the bottom dollar cost for hosting in Southeastern Massachusetts can get you more features, options and service. That being said, only paying $5 or $10 for business web hosting is never a good idea. Check Reputation – Again, make sure to speak with actual customers of the web hosting company to find out more about their experience. Ask about maintenance schedules and average statistics for downtime. Find out all you can about the company to determine just how long they have been in business. Sometimes the best place to get a service is with a company that you have used and trusted in the past for other things. For example, Wareham Web Design provides hosting services to their clients in addition to the web development and design work that they complete. 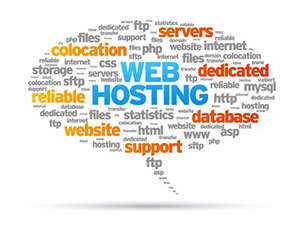 Contact our customer service team to find out more about our business web hosting solutions. We can provide lots of extras, including digital newsletters, mobile website design, search engine optimization, statistics, advanced secure forms and more. Call us today at 508-415-8468 for more information or to schedule a consultation.